Thanksgiving did not become a national holiday in the United States until 1863. 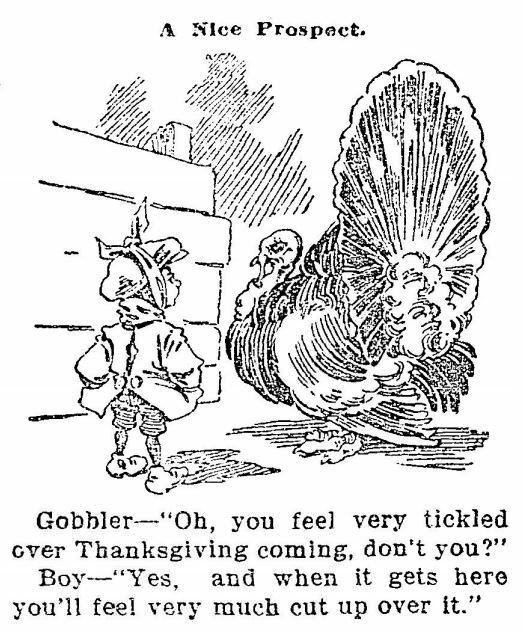 In the early 19th century, Thanksgiving was celebrated on a state by state basis, with each state scheduling its own holiday on dates that could range from October to January. What began as a New England tradition gradually spread to other states, although not without resistance. Thanksgiving was held in New York and New Jersey yesterday. It has been celebrated all over New England. Even Savannah, this year, held this public festival. We do not understand why Pennsylvania should decline this religious and social holiday. Surely the people have the same causes for gratitude, and the motives for its exercise exist with the same force here as elsewhere. In fact, there is such an infusion of eastern population into every profession and employment and order of society here, that it is matter of surprise the custom should not have secured a foothold long since in Pennsylvania. You will not find Napoleon celebrating Thanksgiving when he lands in New Orleans in Napoleon in America, as Louisiana did not observe Thanksgiving until 1846. Regardless of where and when Thanksgiving was celebrated, the primary holiday traditions in the 1800s were going to church and eating a big meal. This is the day on which the saints and sinners of this great division of the Union are called on by the Governor to rest from their labors, feed on roast turkey, and doze away an hour in the house of God. We believe this is the only case in which the civil authorities intermeddle with that which belongs only to the priesthood – the religious observances of the people. We regard this – but after all what’s the use of discussing the point? So to your knees, ye saints – it will go hard with many of you, to offer as acceptable incense, as they who only stand afar off from the temple, and hardly venture to raise their eyes to heaven. That brief exclamation of the publican – ‘God be merciful to me, a sinner!’ availed, when the long prayers, amid all the pomp and circumstance of the altar, brought down only reproof and indignation. The North American and Daily Advertiser (Philadelphia, PA), December 10, 1841. The New York Herald, December 14, 1843. Lowell Daily Citizen and News (Lowell, MA), December 4, 1858. The turkeys placed three feet apart in a straight line would reach from Massachusetts to Indiana. The chickens, one foot apart, would reach from New York to California. The pies, side by side, would reach across the Atlantic Ocean.